Please use the form below to request a Hartley catalog, alternatively call us on 781-933-1993. 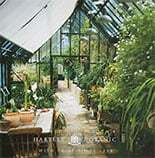 By clicking the button above you are confirming that you are happy to receive marketing material from Hartley Botanic which starts with our inspirational brochure and any current offers. If for whatever reason you are having trouble ring us on (781) 933-1993.